The next two weeks are big ones for The Quiet Circus. This is the first of three emails sharing the work that is happening simultaneously here in Philly and in CONNECTICUT at the beautiful Grace Farms in New Canaan. 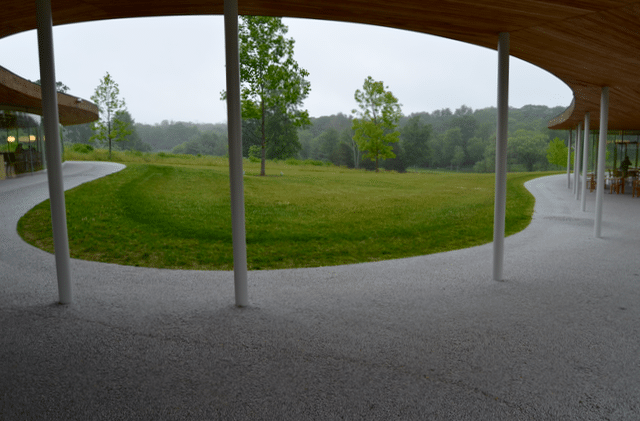 This Saturday Maiko Matsushima and I are launching the participatory Landscape Game at the very special Grace Farms, an exquisite site that makes a holistic, visionary proposal for a new kind of public space. Landscape Game is one of three animating components of The Quiet Circus, Headlong’s public art residency event that happens weekly at the Washington Avenue Pier in South Philadelphia. 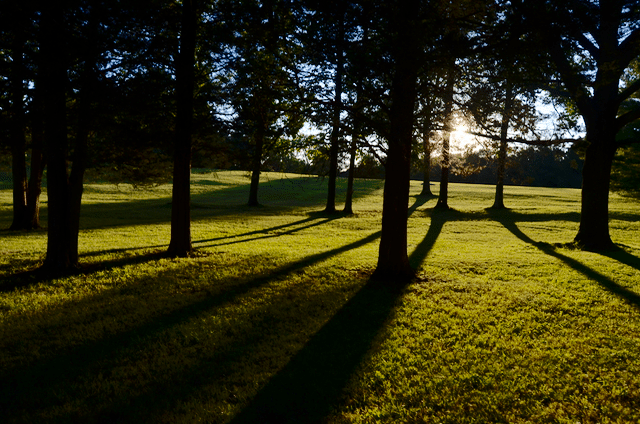 Landscape Game is a participatory installation that invites visitors to “observe themselves observing” within the contemplative grounds of Grace Farms. It is launching as part of the Grace Farm Foundation’s Practicing series, whose focus this year is on “Practicing Silence.” Maiko and I are so moved to be invited to share this work in a program that couldn’t be a more perfect fit for these nine objects and three koan-like instructions that invite two people to engage in a simple activity of silence, stillness and placement, and whose experience we hope may reveal an unseen world both ordinary and luminous. 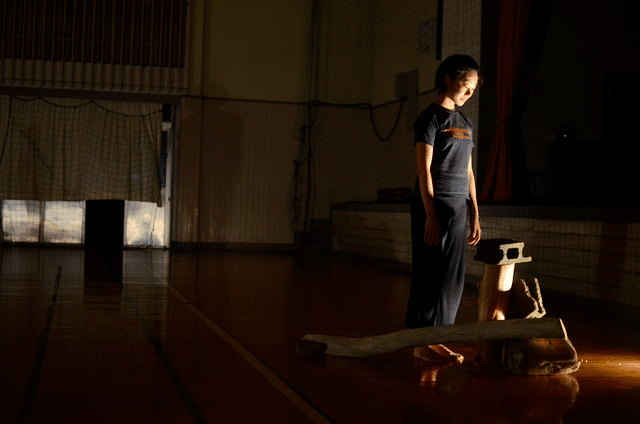 We would love to have you join us on Saturday at Grace Farms when we launch the work. Or visit the grounds some Saturday in November to watch or play Landscape Game as it begins to evolve in relation to its new home. In 2012 Maiko and I, along with Saffie who turned 1-year old there, lived on the inland sea island of Naoshima courtesy of an artist fellowship from the Japan-US Friendship Commission. Naoshima is an elaborate experiment in art, architecture, public space and community fleshed out on the skeleton of Ando’s museums and landscape architecture that simultaneously creates what I would call Place and View: a place for contemplative experience that interacts with a sense of view that puts the experience of the beholder into a larger “landscape” of awareness- nature, art, the built environment and other human beings. Ando’s architecture as it interacts with the land gently frames and re-frames disparate phenomena and the effect heightens our awareness of relationships between all things- the curve of an embankment to a bench, of this body to that body, of that body to the motion of a tree branch in the wind, of a candy-striped glow of a Bruce Nauman neon installation to the kindness in a passerby’s eye. Exploring placing objects and bodies at a community center in Naoshima. Landscape Game emerges directly from our experiences in Naoshima working with the people who lived in our village including elderly people who had been born on the island before World War II, and also younger people who had moved there more recently to start cafe’s and small businesses in the wake of the art and development proposal being made there. Lee Ufan installation of materials performing themselves as they are. We were influenced by the work of Lee Ufan whose work is housed in the Ando designed Lee Ufan Museum on the island. Ufan, a leader in the “Monoha” art movement was interested in getting the work of art to activate awareness of the materials used in the work as well as the environment in which the work resides. His work gestures directly toward an engagement with the world rather than towards the mind of the artist. In seeing Ufan’s work we thought: here too is an artist who wants to get out of the way of art’s potential to bring people closer to seeing the world for themselves. 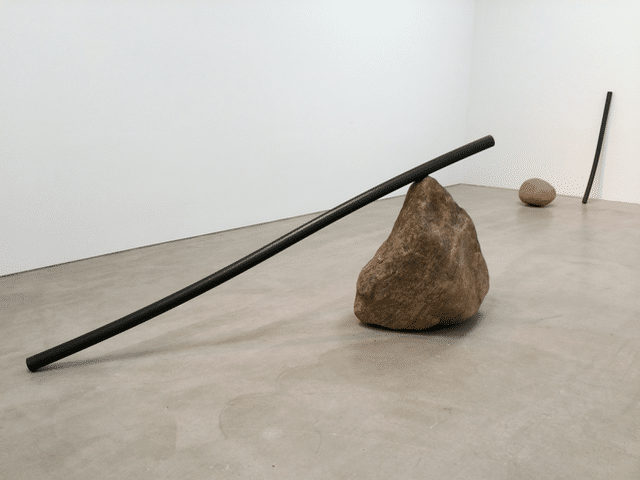 What if we considered human bodies and their individual experiences as a kind of raw material like Ufan’s steel slabs and boulders whose juxtapositions gesture toward the world? Landscape Game evolved as our answer- in taking turns placing objects and then our bodies into a landscape each person might come closer to experiencing a world both existing and becoming. Each person may have the sensation, not of our artistry, but of their own mind as they observe themselves observing. 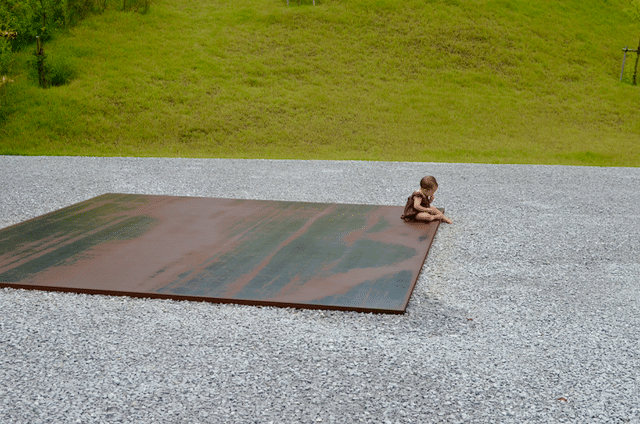 Lee Ufan installation at Lee Ufan Museum in Naoshima, with Saffie. We will be so delighted if you visit us at Grace Farms on Saturday, October 28. Or visit Grace Farms any Saturday in November to play Landscape Game and enjoy this special place. If you’re in Philly, please come to The Quiet Circus at the Washington Avenue Pier at 11a.m. The luminous world will be glowing in a simultaneous dance at both locations!